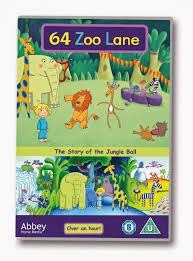 Did you see our latest review on the new 64 Zoo Lane DVD? Would you like to get your hands on a copy? I have 3 copies to give away to Mummy To The Max readers. All you need to do is enter the simple rafflecopter below to be in the chance of winning. There are 3 chances so good luck!